kids are goofy, kids do silly things. How much fun can kids have with a hole they dug on the beach. Endless fun. Long happy days of summer. 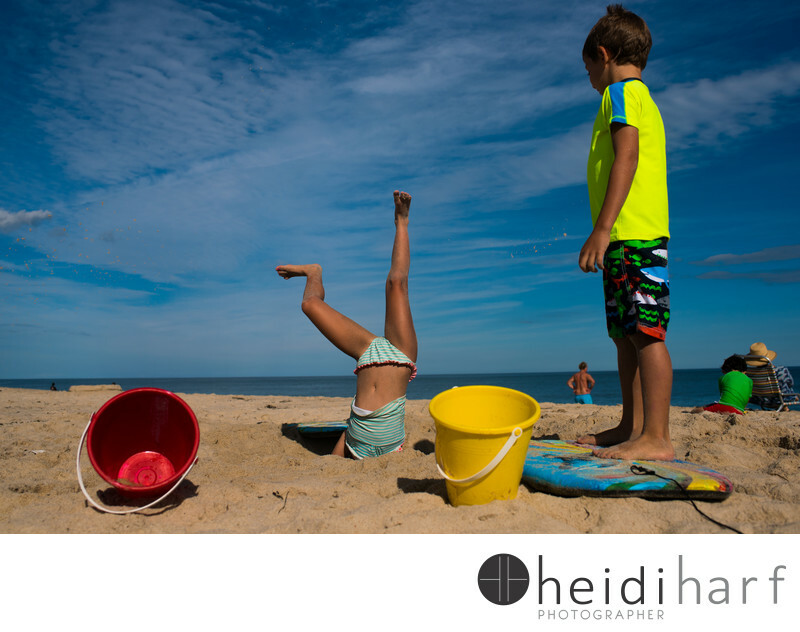 Perfecting cartwheels in the sand and making parents crazy as they have to take the sand out of their hair days later! Picture taken on a documentary family session in southampton New York. Location: coopers beach, southampton, new york.